Despite all that you have accomplished, created and experienced in this life, do you feel a lingering sense of helplessness, emotional fatigue, overwhelm and unfulfilled desires? Are you going through a major transition in life at this time and wish to have greater support and clarity? Are you unhappy in relationships and are you ready to put total focus on yourself? 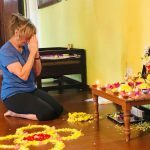 Are you willing to be accountable and responsible to yourself while being supported and nurtured by shakti-filled rituals? 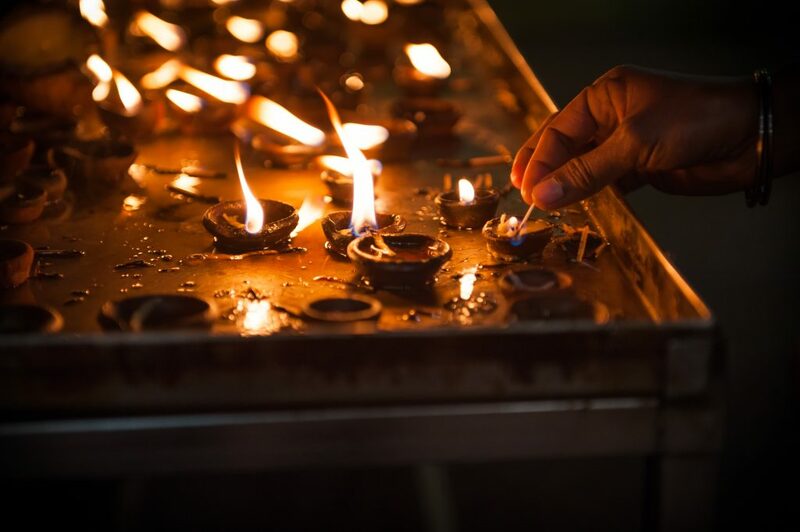 Are you willing to surrender and yield to the flow of shakti IN YOU AS YOU? Shakti is the dynamic energy of the divine feminine. Shakti is the creative energy of the universe. We believe life is short and precious. Let’s not waste any time. Let’s take full responsiblity for our awakening. Our healing is healing the world. 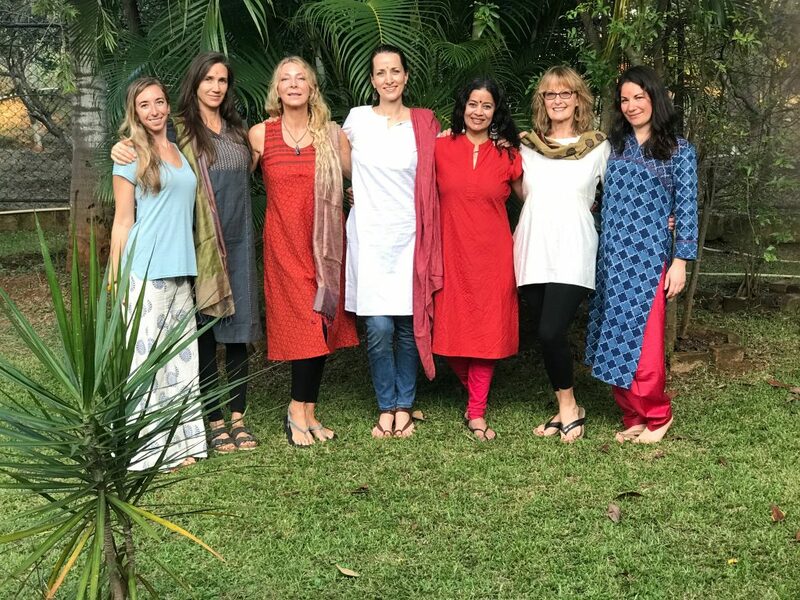 We invite you to a unique experience with two yoginis devoted to our highest expansion into joy and we will lead you through carefully curated processes, rituals, and energy building practices to enliven your soul. If you are ready, do not hesitate for another moment. 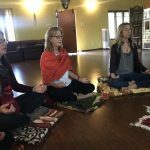 Join us on this life-changing journey into the divine feminine. 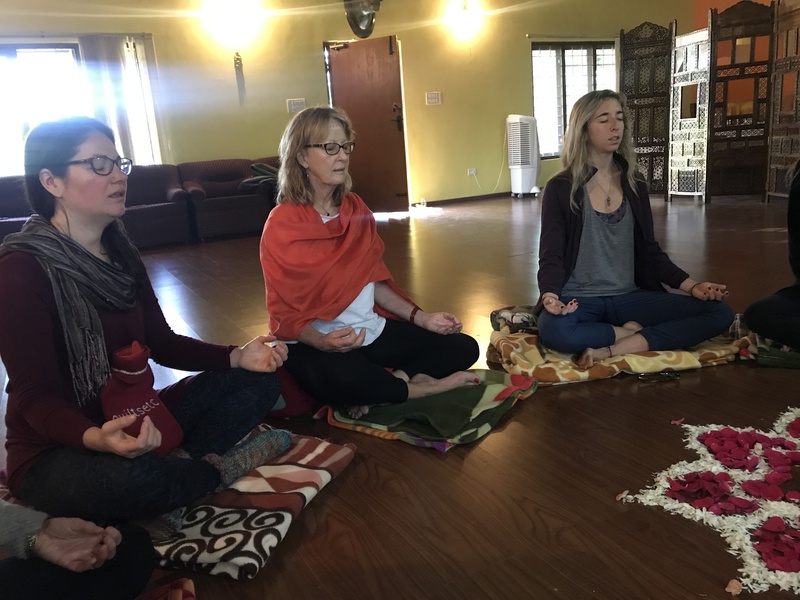 Bring your mother, your daughter, sister, best friend and elevate your human experiences through the embodiment of shakti. Women are happiest and healthiest when we spend time deepening our connection to other women. 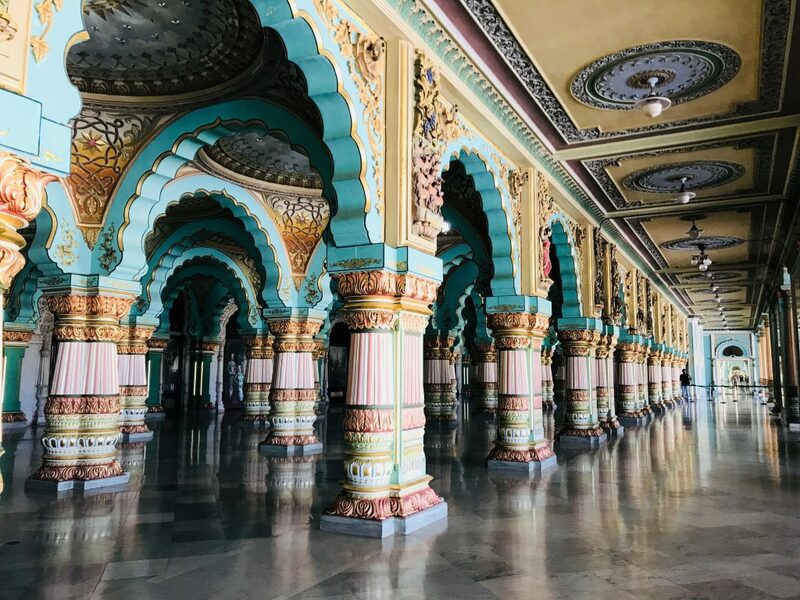 Be in sacred sisterhood in the feminine vortex of Mysore, home of one of 51 Shakti Peethas of India. Relax into the arms of Divine Mother and allow yourself to be nourished by the beauty and unconditional love of Mother India herself. We will end our retreat with a very special dinner celebration — plus special surprises for our distinguished guests (you)! Limited to 8 women. Registration NOW OPEN. 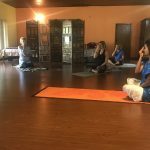 Includes accommodations, two veg meals per day (breakfast and lunch), entrance fees to all temples, palaces, museums and special events, an afternoon of Ayurvedic treatments (massage and more), and all transportation costs during the retreat. Does not include airfare to India but we can arrange for you if you wish. Does not include dinners. A $575 non-refundable deposit secures your spot. Accommodations: Shared rooms. Private rooms are available at an additional cost. 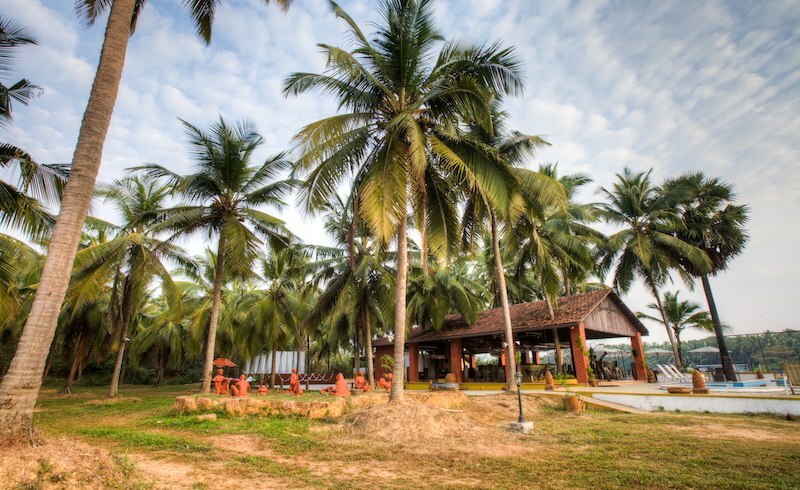 Following our retreat, we invite you on a one-week co-ed tour (bring your partner, husband, friend) of this lush land where we will enjoy coastline, visit ancient temples, hike in forests, visit an elephant camp, ancient temple ruins, and much more. 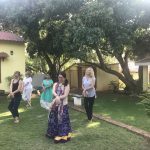 After immersing yourself in beautiful practices to awaken and enliven your feminine fire at our retreat, enjoy all that this part of India has to offer. Allow the unfolding and blossoming to continue as you discover more of yourself within the lush land around you. 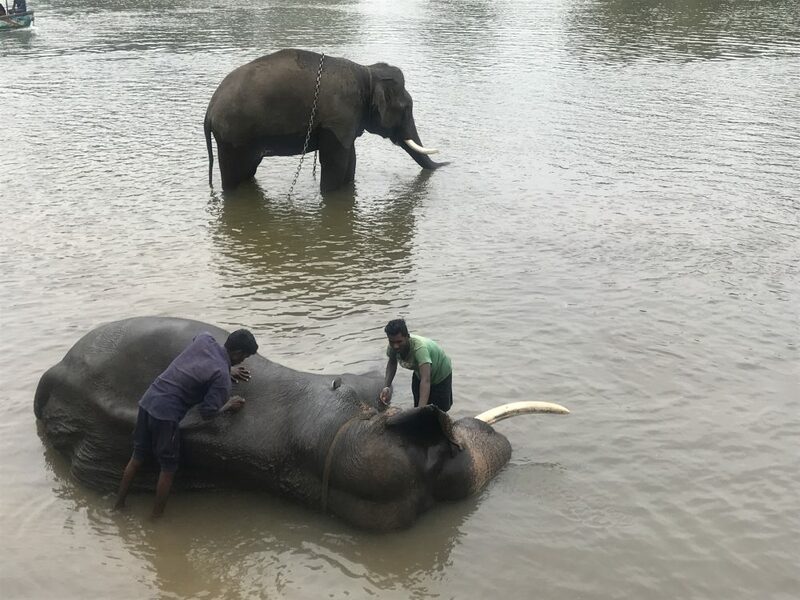 Places on our visit include a jeep safari into the Nagarhole National Park, a drive through the verdant Kudremukh National Park at the 6,000 feet elevation and the coffee plantations of Madikeri. 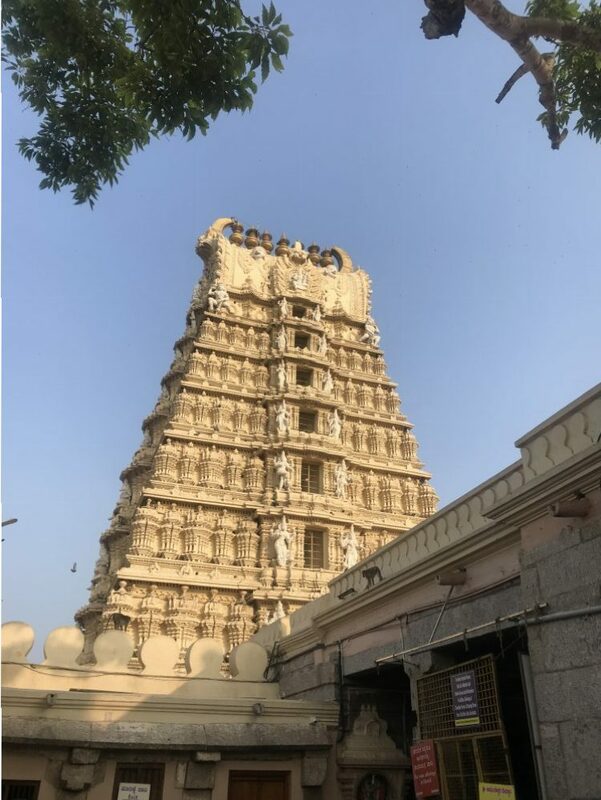 In Chikmaglur, we will visit the two Advaita monastery and temples that were established by Adi Shankara in 800 B.C., and enjoy the Mangalore coastline including the famous Krishna Temple in Udupi, which was built in the 13th century. 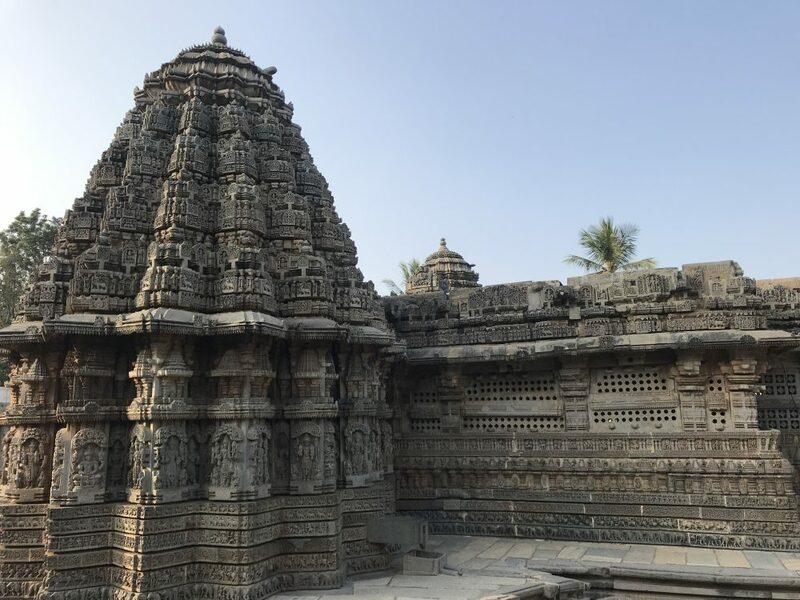 Along the way we will also take in the history and architectural beauty of the 12th century Hoysala Temples in Belur and Halebid. 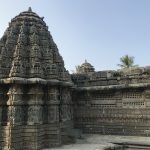 Get ready for your senses and your heart to explode with the beauty and spirituality of this state in Southern India and stand in the history of this country that spans thousands of years. We take care of all of the travel details for you and you are free to sit back, relax and enjoy! 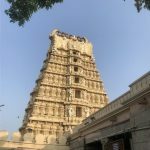 What is included in this package: all transportation within Karnataka, accommodations (double shared room), daily breakfast, entrance to all parks, temples, ashrams and jeep safari. 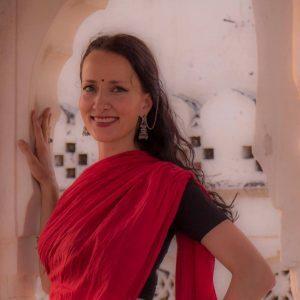 Lisa Beck is a dancer, teacher, designer and yogini who’s greatest joy is helping women connect more to their femininity, grace, courage and power. 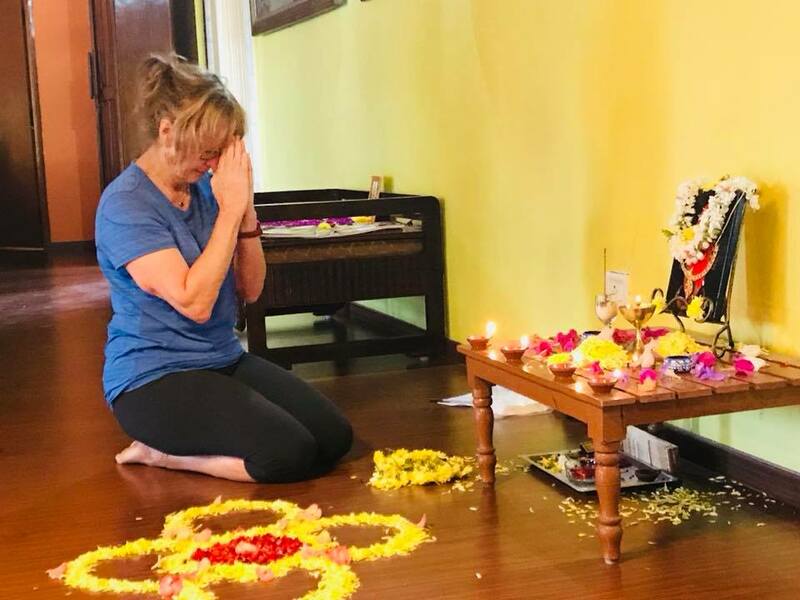 Whether she is teaching a dance class, leading a tour, designing beautiful adornment pieces or chanting the names of Devi, the ultimate goal is union with the divine…celebration of the divine…embodying the divine. Lisa first stepped foot on Indian soil Jan 1, 2016 and her world was never the same. 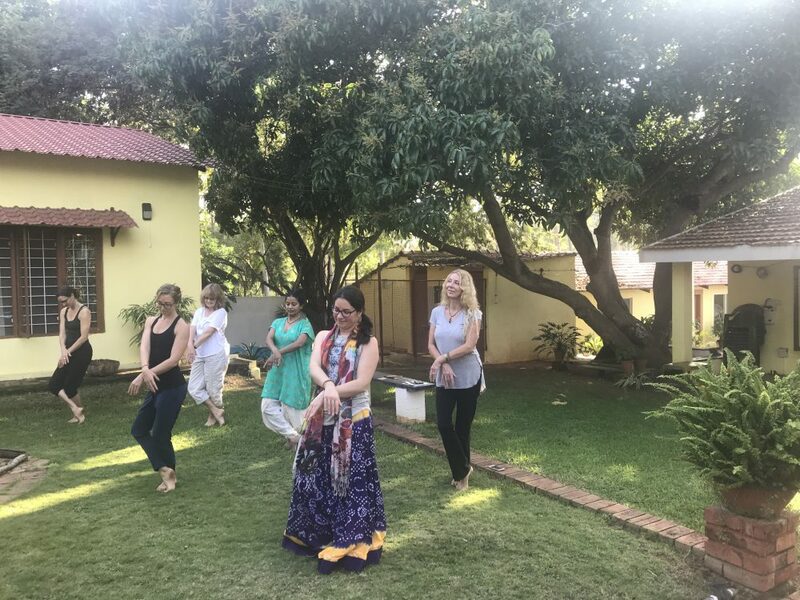 This will be her 6th trip to India, and she is deeply connected to this land and her people ~ through her Classical Indian Dance Training, annual tours of both South and North India, this retreat, and studies of yoga and vedic philosophy. 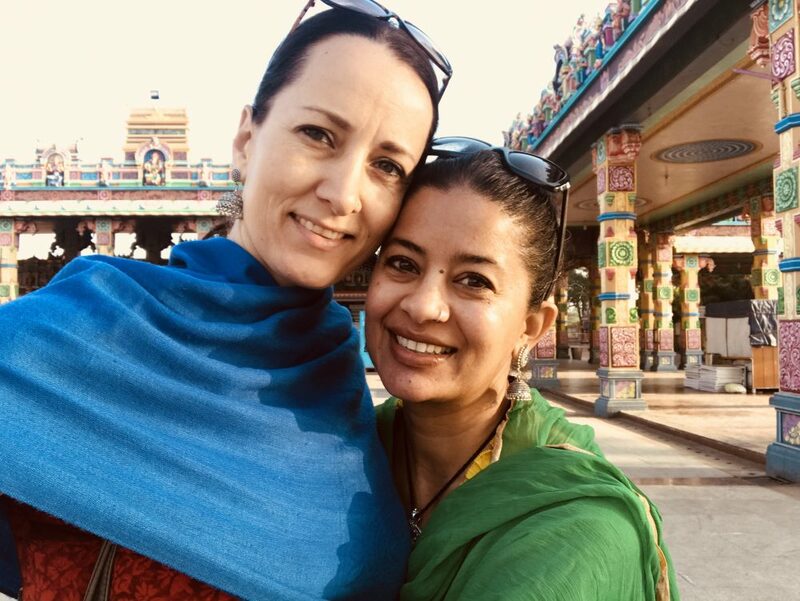 She loves being a bridge and connector and is thrilled to welcome you to this transformational retreat in Mysore! 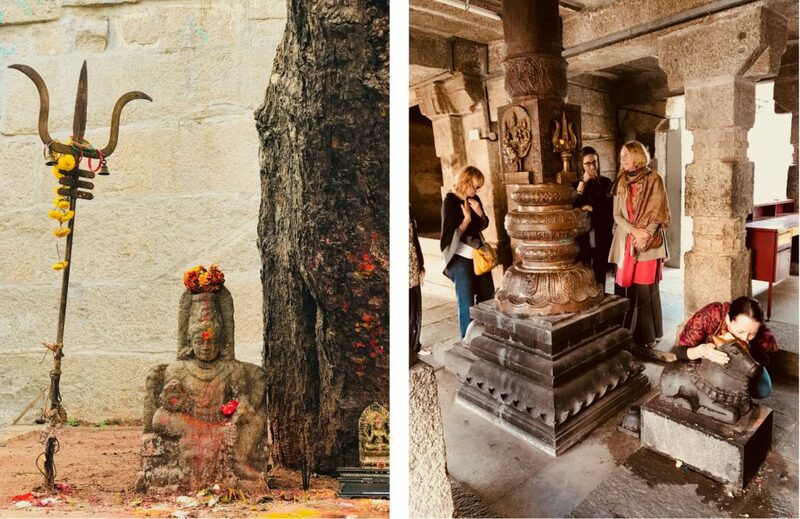 Aparna’s life’s work is to guide women to embody their divinity from within. 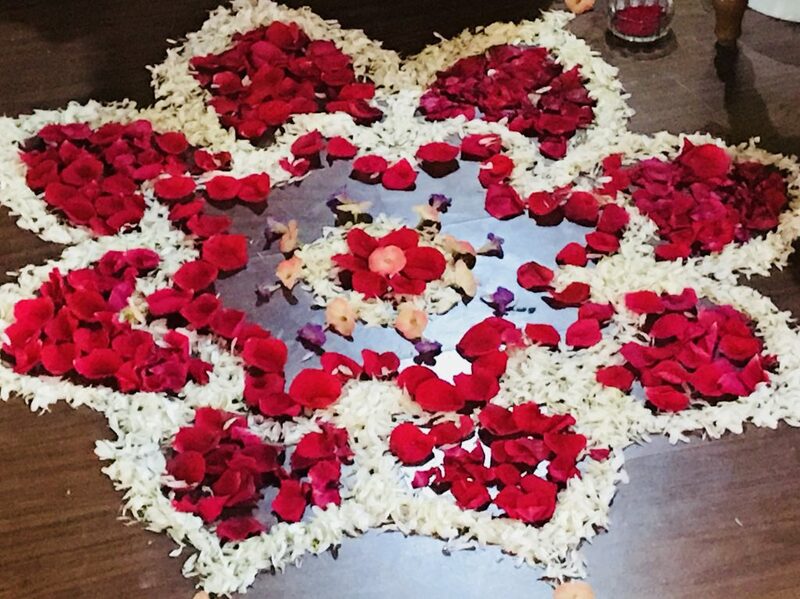 Celebrating being a woman – in the body, heart and spirit is the foundation of all of her offerings. 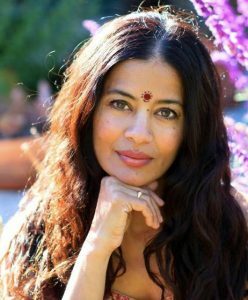 Honoring Ayurvedic rituals, aligning with Nature’s rhythms, cultivating tenderness in the heartcave and experiencing the non-dual nature of existence is her personal life path, which organically spills over into her work with women. 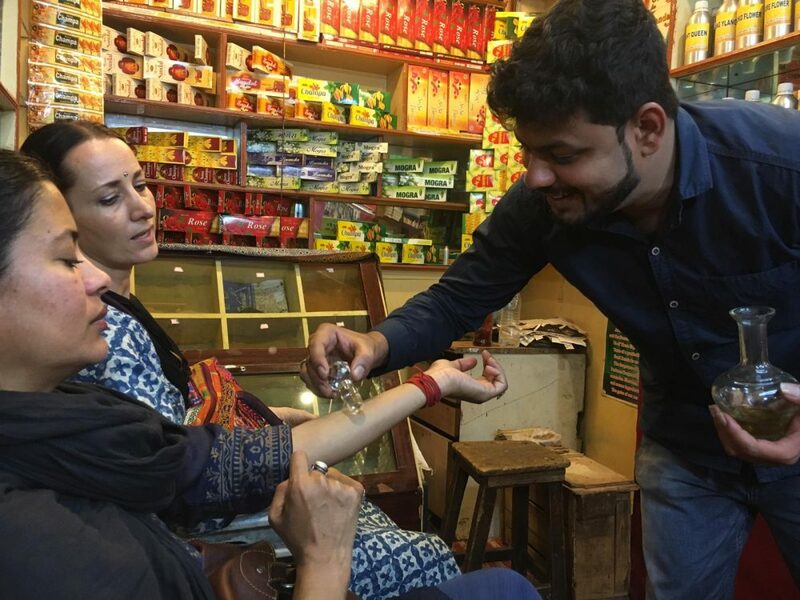 She is the creator of Ishvari, an Ayurvedic skincare line that uses only pure organic Ayurvedic herbs in products while using ancient Ayurvedic preparation techniques. Aparna is a yogini, classical Indian dancer and a mother of two. 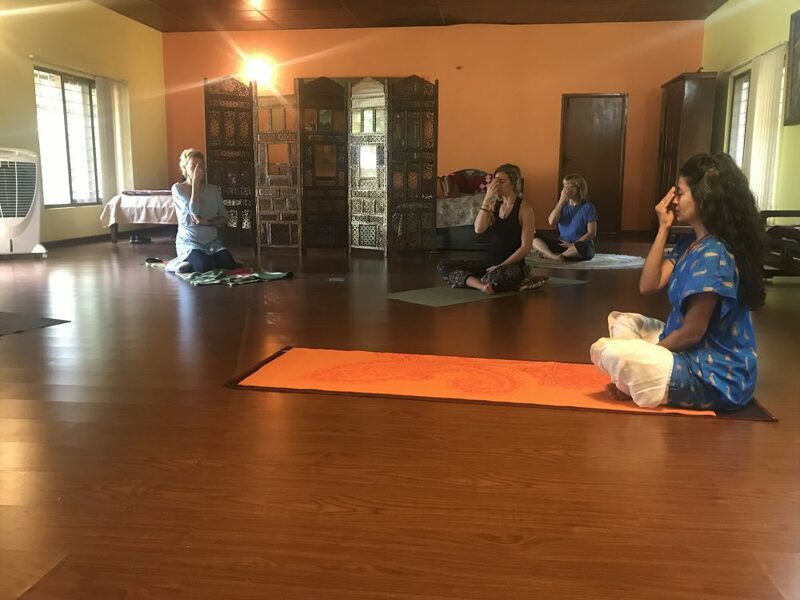 Aparna is originally from Mysore and it is a very special and intimate opportunity for all of us to be immersed in the world that she grew up in. It is an honor and joy for her to share her beloved home city with us. 1. 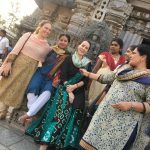 Is India safe for women travelers? ​Yes. 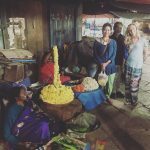 Traveling in India is safe, especially when you are with a group and guides. We are taking you to heavily traveled and touristed places. We don’t recommend walking alone at night, especially as a woman…but this goes for every city and town in the world! 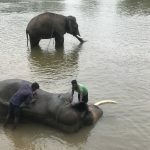 ​Read this blog about one woman’s opinion on traveling in India and safety. We coudn’t agree with her more! 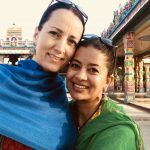 ​Is it Safe for Women to Travel in India? 2. Do you recommend travel insurance? ​3. Can we use our cell phone in India? ​The best (and cheapest) thing to do is to keep your phone on airplane mode and enjoy free WiFi calling via Facebook Messenger or WhatsApp. You can always check with your carrier on roaming and international rates. Lisa will have an Indian phone number which you will receive prior to leaving the US. 4. What will the weather be like? How should I dress? Daily high temperatures for October are around 83°F, rarely falling below 79°F or exceeding 87°F. Daily low temperatures for October are around 68°F, rarely falling below 64°F or exceeding 70°F. 5. 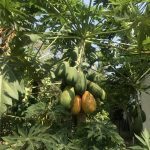 Will I get sick? 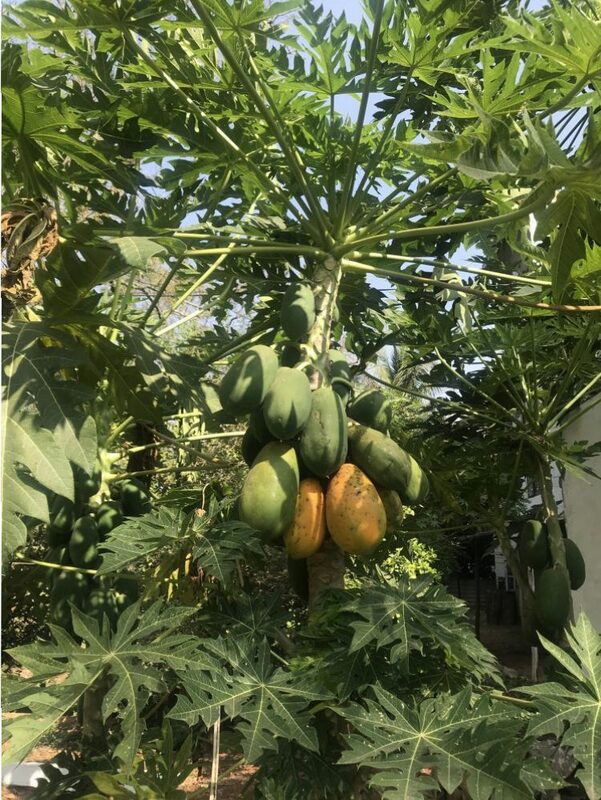 It is possible (just like anywhere – think Mexico). Bring any necessary supplements, medications, etc. AND use common sense and your intuition. Don’t drink unfiltered water. Don’t eat veggies washed in unfiltered water. Most hotels and restaurants use filtered water, but ask if you are unsure. Eat mostly cooked food. Don’t drink lassi’s at night (morning is freshest). Wash your hands before every meal! In India they eat mostly with the right hand and fingers. If you wish to eat this way, and even if you don’t, wash your hands with soap and water before and after every meal. Supplements: Lisa recommends charcoal pills (for absorbing toxins in the gut), probiotics for overall gut health (begin taking at least a month ahead), a good B vitamin (we will be eating mostly vegetarian food) and melatonin or a sleep herbal blend to help you sleep. 6. What are the accommodations like? Very comfortable, clean and quiet dorm-like rooms. Each of you will get your own bed but we will all have shared accommodations. 7. 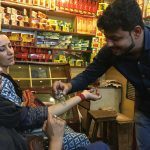 Do we tip in India? We always do. Try to always have several 10 and 20 rupee notes, as well as coins to tip when we go out and about. Servers, drivers, etc. make very little money and appreciate any $ gratitude we can offer them as thanks. We usually suggest at least 10%. If for some reason you decide to leave during the retreat/tour, no refunds or credit will be offered. If by some unforeseen events or happenings we cancel the retreat, we will refund you all deposits and payments. We cannot however compensate you for airfare or travel costs incurred. In the unlikely event that we must cancel due to weather, natural disaster or political upheaval, we cannot guarantee a refund – it will be depending on receiving refunds from the property, taxi companies, etc. To cover these risks we highly recommend you purchase travel insurance (the best way to protect yourself from unforeseen circumstances (like weather, natural disaster, lost baggage, medical expenses, etc).